You are frightened by the amazing number of cars in Beijing, the trafic jams, the pollution, the shortage of parking space ? You wonder when this will slow down ? Not this year as it seems the car market figures are fantastic in China. The global growth of the car market in China is 20% within one year, in september 2013 alone almost 2 million cars have been bought in China, cmpared with 1.7 million in august. The figures are very good and are correlating a series of good trends regarding Chinese economy, with its indutrial production increasing this year, according to HSBC. In many fields, China still has a potential for growth. For european auto mnufacturers, China is the decisive market, especially for german brands. Volkswagen stated that its sales have increased of 7% in september when European domestic sales very going down. 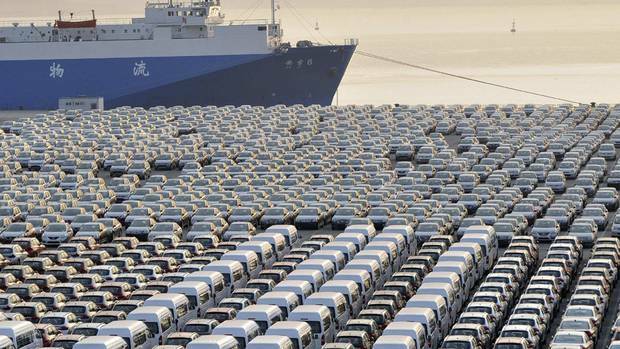 China is the engine that drives the world car market. For such a brand, that expects to sell more than 9 million cars in 2013, these figures are very important. Is this car bonanza going to last forever ? Hard to say, since in the meantime the authorities are worried with the situation in cities such as Beijing. Beijing authorities are planning to curb down the car sales by 25% thanks to a set of measures, with a peak number of cars of 6 million that should be reached in 2017. The new measures are not yet officially announced but should be implemented in 2014, a further restriction after the limitation of new car plates auctons at 20.000 a months decided earlier this year in a city that has already more than 5.4 million cars. The new plate system is restrictive since the authorities received 1.6 million demands but issued only 20.000 plates via a lottery. The oldest measure was that every car is banned from the road one workday every week. These measures have provoked complaints since buyinbg a car has become a lottery and that so few applicants could buy a car, but so rash measures could be the price to pay to have better pollution conditions in Beijing, a city where everything is getting more expensive. There are concerns as well about the Chinese car industry, what will happen of it if car are seldom tolerated from the beginning.